Gemma Kent talks to Declan McKenna, winner of the Glastonbury emerging talent competition 2015, about the loss of David Bowie, a need for greater conversation, and how the Irish are obviously really damn cool. When the phone finally rings I throw myself at the landline like a soccer player dives to make the crucial save. Only, I’m not athletic. And I don’t want to knock my poor landline to the ground. 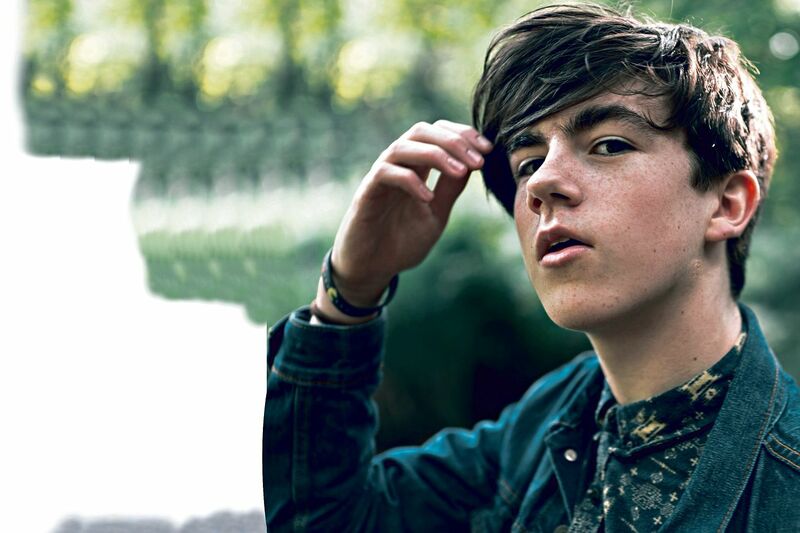 Following a brief head-bop to some classic ‘please-stand-by’ music, my interview with Declan McKenna gets underway. My first thought as he says his hellos is how young he sounds; aged only seventeen, he’s younger than me by about two years. With this thought flying around my head, I decide we might as well start with his biggest success to date, the Glastonbury Emerging Talents Competition of 2015. I point out that I love the video too, perhaps mostly for the fact that it emphasises the positives of the transgender experience, in contrast to what the media would often have us believe. Another hard-hitter of Declan’s portfolio is the song ‘Bethlehem’, so ridden with religious and political motifs that I couldn’t hope to introduce it justly. Fortunately, Declan is keen to explain the motives behind the song. Employing the fool-proof ‘Rule of Three’, I venture a final song of Declan’s, titled ‘Brazil’. Like its counterparts, it, too, focused on another aspect of social justice, again too intricate to delve into here. What I wanted to address about this song though, was a particular shot in its music video. At one point, it shows Declan singing in front of the David Bowie mural in Brixton and I hope that the mentioning of the late, great Ziggy Stardust won’t distress the young singer as much as it does other hard-core fans. With more than enough material to work with, I’m happy to let to let Declan go, though I feel I have a final a duty that I owe to Irish people everywhere. Where most kindly admit a great, unlikely hope to one day grace our Emerald Isle, Declan is keen to suggest we might catch a glimpse of him performing here before the year is out. And here, as any true Irish person will, I jump on the notion of ‘Irish relations’ with the vivacity that a novice journalist jumps to her telephone the day of an interview. I decide to put forward one last topic and so make David’s last effort a worthwhile one. I ask Declan what he thinks the reception of his music is like, seeing as his chosen themes are frequently controversial. And with our talking about them complete, I thank Declan repeatedly for his time and patience, then lower the receiver before our call can end in giddy excitement.